The aim is to build a tower of crates as high as you can before it topples and comes crashing down. 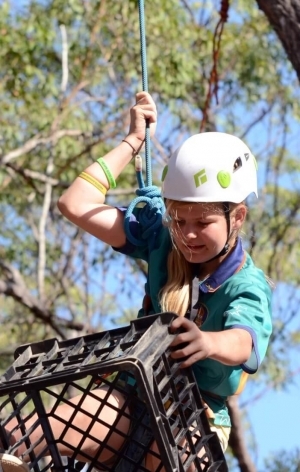 The challenge is that at least one team member must be stood on the top of the tower. 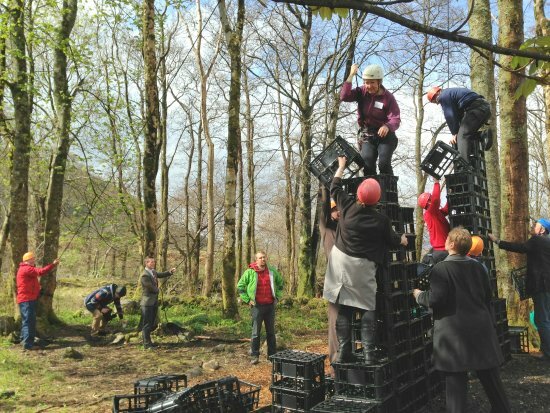 The whole team is involved with building the tower and need to work together to support it and pass more crates to whoever is on the top. 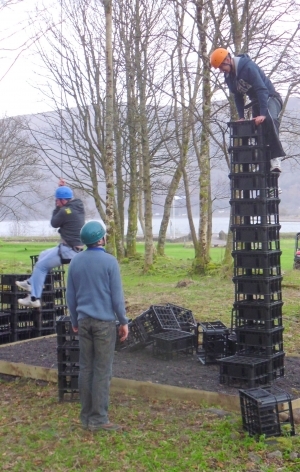 There are various ways to build the tower depending on the level of challenge required, from a base of just two crates with two people on the top making it super wobbly to a base of four with just one climber on the top making it more stable and accessible to all. It may be appropriate to set a target for the team to reach a certain number of levels or to give a time limit. We can have two individual towers at the same time and a race to see which one can get the highest. Once the tower topples the ground crew have to run away leaving the climbers dangling from the ropes like puppets before being safely lowered to the ground by the instructor.